This beautifully upgraded Granada Hills tri-level home is perfectly located in a quiet gated community at the top of Granada Hills near the Odyssey Restaurant and much more. This home has hardwood floors throughout, granite counter-tops, recessed lighting, and is energy efficient. As you walk in on the main level, you pass through the attached porch, great for BBQing with friends and family. Downstairs is a spacious room, ready to be used as a living space, or office space adjacent to the attached two car garage. As you make your way up the stairs you enter the kitchen, living room and dining room. The kitchen has cabinets galore, stainless steel appliances, and an over-sized curved island, which works effortlessly as a breakfast bar. Off this space is a powder room, and laundry space with a full-sized washer and dryer. As you make your way to the third floor you will find both bedrooms with an attached bathroom. The Master Bedroom has upgraded granite counter-tops, and a tiled stand up shower. 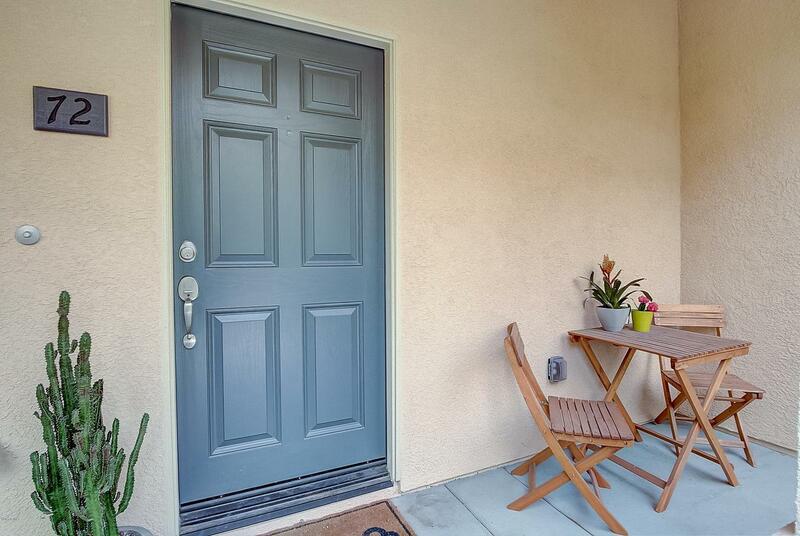 Don't miss your chance to live above the valley in a park like serene setting, complete with community pool, spa and BBQ area near most major freeways. Inclusions: Refrigerator, Washer and Dryer and NEST thermostat.